I took a few different shots of this basketball game. Knowing I wanted to get the Freedom Tower in the photo, I thought I had the best composition positioned directly behind the court. After looking at all the shots closely though, I think I like this one the best which I took after sneaking onto the court when the play was on the other side. 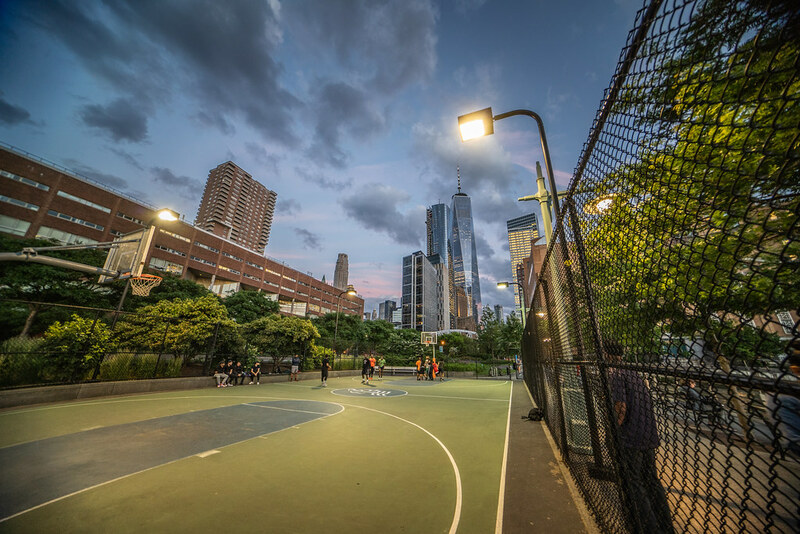 Snuck onto the court during the game to snap this photo of some downtown hoops in NYC. Wow, it looks really beautiful! My friend has recommended write a dissertation for me your services to me some time ago and I still could not make it. I think this new place can be a motivation for me to go there finally. Thanks a lot for posting. When the sunshine hours, families come out to play on the unnatural grass field, assignment writing companies which is a vast place to throw a ball with colleagues. Instructional programs are also usually held on this quay.